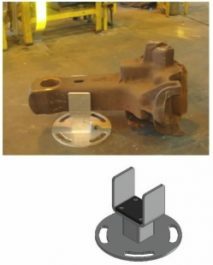 This fixture is used to remove, install, and transport any type of E or F style coupler. 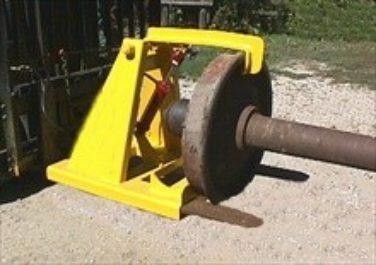 It is compatible for use with standard or long shank couplers. 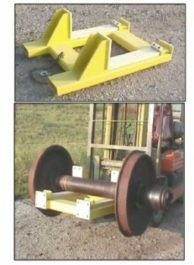 The wheel caddie provides a safe method of handling wheel sets. Steel frame with hard wood mounted pads protects the axle from nicks caused by forklifts. Nicks in axles has been linked to axle failure. 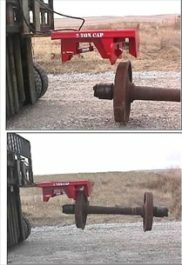 Our hydraulically operated wheel handling system quickly and safely loads or unloads wheelsets from flat cars or trucks. It features a spring-loaded automatic wheel gripping device that also provides a fail-safe lock in case of hydraulic hose or fitting failure. 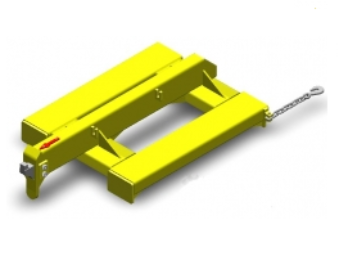 A safety chain is included to provide secure fastening to the forklift mast. 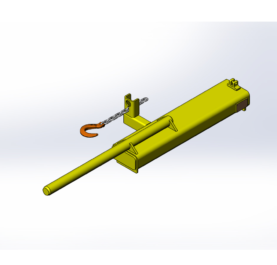 A forklift having a two stage mast, and one auxliary hydraulic control valve to operate one double acting cylinder is required to disengage the auto lock . up to 6″ wide x 2-3/4″ thick.